Planning a Vacation to Germany? The Cologne Cathedral is a must see! Germany is a country with a rich history and culture. It has been home to many influential philosophers, composers, scientists, inventors, and architects. Perhaps the only thing as beautiful as Germany’s culture is its architecture. Take the Cologne Cathedral for example. Originally begun in 1248, this breathtaking Gothic masterpiece took over six centuries to complete. 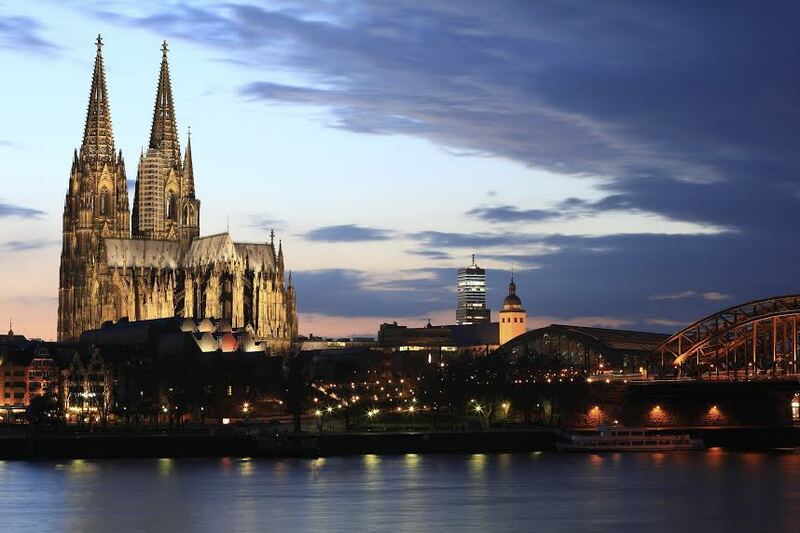 Today, the cathedral is one of Germany’s most treasured landmarks and a must see for anyone visiting the country. The Cologne Cathedral is a High Gothic five-aisled basilica, with a projecting transept and a two-tower facade. The total area of the Cathedral measures nearly 8,000 square meters and can hold more than 20,000 people. Today, the cathedral is still the second highest building in the city, behind only the telecommunications tower. Before the Edict of Milan proclaimed religious freedom in AD 313, Christians worshipped in secret. One such secret meeting place was a private house in the north-east quarter of Roman Cologne near the city wall, the future site of the Cologne Cathedral. But it is important to note that the cathedral was not the first place of worship erected on the site. In 870, a basilica, which would come to be known as “the mother and master of all churches in Germany,” was built to accommodate the growing needs of Germany’s Christian population. However, by the 13th century the building was found to be too small. And in 1248, work began on the Cologne Cathedral. 74 years after first breaking ground, the cathedral Chapter was able to install itself there and consecrate the high altar in 1322. Construction continued up until 1560, when all work ceased on the instructions of the Chapter, for unknown reasons. The cathedral would remain in this state for several centuries until Cologne was seized by the French in 1794. Interest in the Cologne Cathedral was rekindled and work began again in 1840, 35 years after Cologne was passed to Prussia. The building was finally completed in 1880, 632 years and two months after construction first began. The final product was well worth the wait! almost 8000 square metres and has room for more than 20,000 people. Planning a Vacation to Germany? AESU can help! Join AESU for the excitement and European adventure of a lifetime! This entry was posted on Thursday, June 19th, 2014	at 1:01 pm	. You can follow any responses to this entry through the RSS 2.0	feed. Both comments and pings are currently closed.